Robotics and autonomous machines are already transforming our lives and society in many different ways, some of which we are only now starting to comprehend. From self-driving cars, drones, digital assistants and medical robots to AI & ML tools used by insurance companies, consumer electronics and the entertainment industry, these intelligent machines (and the algorithms that drive them) will change how we work, we commute, we learn, and we operate and interact with each other. Control theory has a major role to play in designing and building the next generation of safety-critical autonomous systems. Algorithmic control theory, in particular, reflects the current trend of merging of control, computer/computational science, information theory, and communications, into a new discipline for optimization-based, on-line, control synthesis, which is a crucial ingredient for these autonomous systems to reason about, and operate in, high-dimensional search spaces, in the presence of uncertainty or malicious adversaries, and under severe time and informational constraints. In this talk I will present some of the recent work conducted at the Dynamics and Control Systems Laboratory (DCSL) at Georgia Tech that aims at answering some of these challenges, which lie at the intersection of control, AI, and robotics. 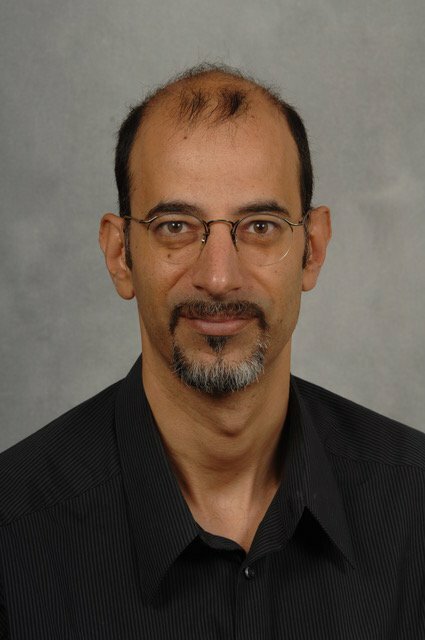 Panagiotis Tsiotras is the Dean’s Professor at the School of Aerospace Engineering at Georgia Tech, where he is also the Director of the Dynamics and Control Systems Laboratory (DCSL) and the Associate Director for Research in the Institute for Robotics and Intelligent Machines (IRIM). He is also affiliated with of the interdisciplinary Center for Space Technology and Research (C-STAR) and the Decision and Control Laboratory (DCL) at Georgia Tech. He has held visiting research appointments with at Ecole des Mines (Mines ParisTech), INRIA-Rocquencourt in France, MIT, and JPL. He holds degrees in Mechanical Engineering, Aerospace Engineering, and Mathematics. His current research interests are in optimal and nonlinear control and their connections with robotics, AI, and decision-making for autonomous systems. He has published more than 300 articles in these areas. He is currently serving as the Chief Editor of the Frontiers in Space Robotics, while in the past he served in the Editorial Boards of the AIAA Journal of Guidance, Control and Dynamics, the IEEE Transactions on Automatic Control, the IEEE Control Systems Magazine and the Journal on Dynamical and Control Systems. He is a recipient of the IEEE Award for Technical Excellence in Aerospace Control, the NSF CAREER award, the Sigma Xi Society Excellence in Research award, and the Outstanding Aerospace Engineer award from Purdue. He is a Fellow of AIAA and IEEE, and a member of the Phi Kappa Phi, Tau Beta Pi, and Sigma Gamma Tau honor societies.